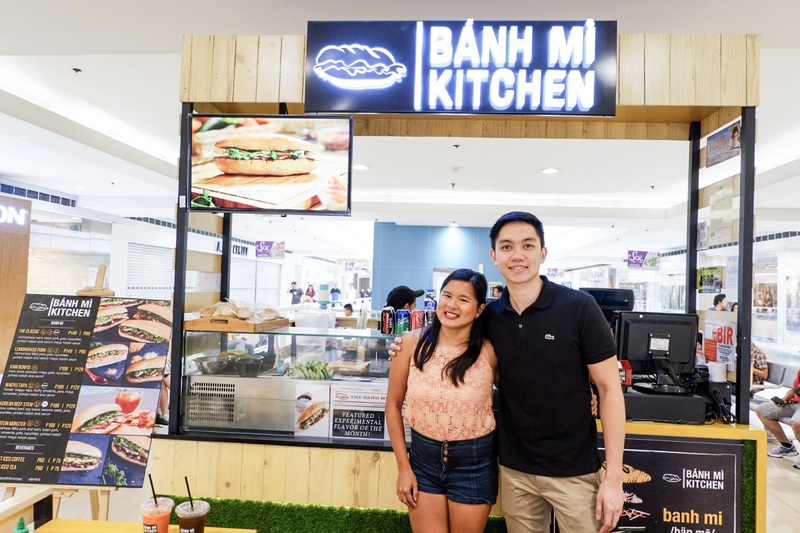 @nLast July, 2016, Banh Mi Kitchen a Vietnamese cuisine that procured a superb attention around Metro Manila, has finally opened at the 4th floor of SM Megamall of Ortigas, Mandaluyong, near Fitness First. 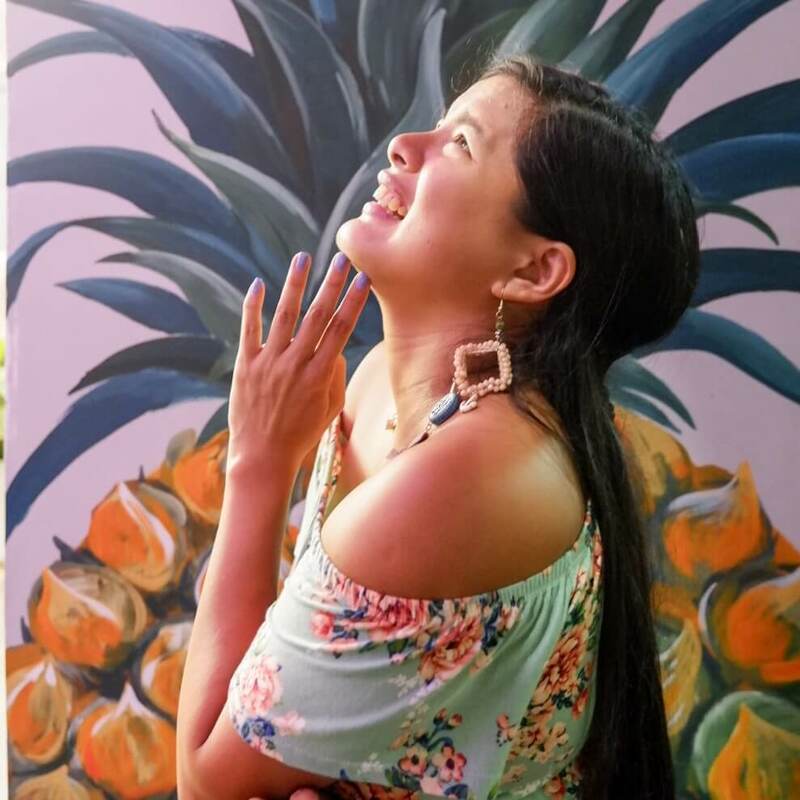 This famed eatery is a compact food stall with six eating tables where clienteles crammed with excitement would often gather. 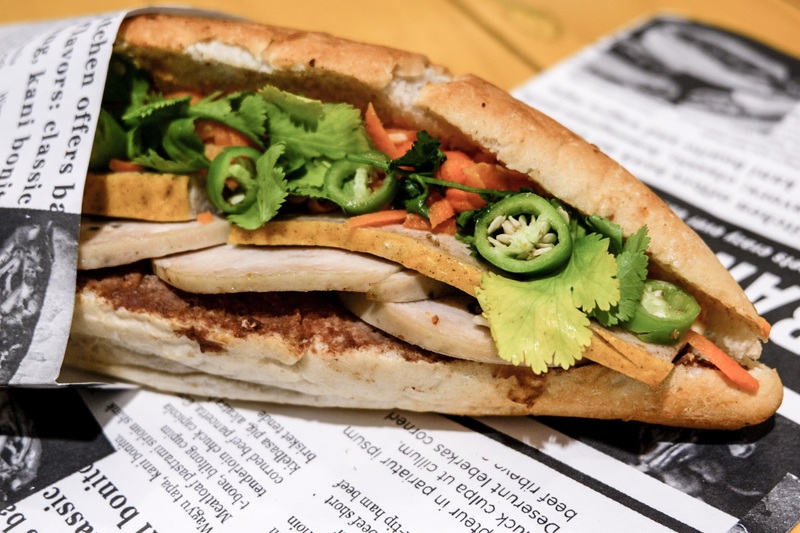 Just a quick trivia, Banh Mi has been actually a term that refers to all kinds of bread of which initiated in the bucolic side of Vietnam discovered by French during colonization. It would usually be found in Vietnam bakeries and now has reached the country. 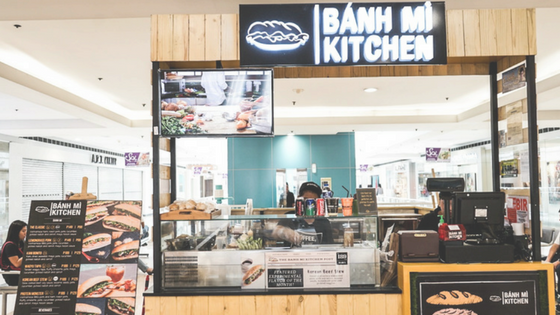 The Banh Mi Kitchen offers a copious variety of palatable baguette sandwiches that can be devoured even as a quick or handy snack and will surely fill your craving tummy. 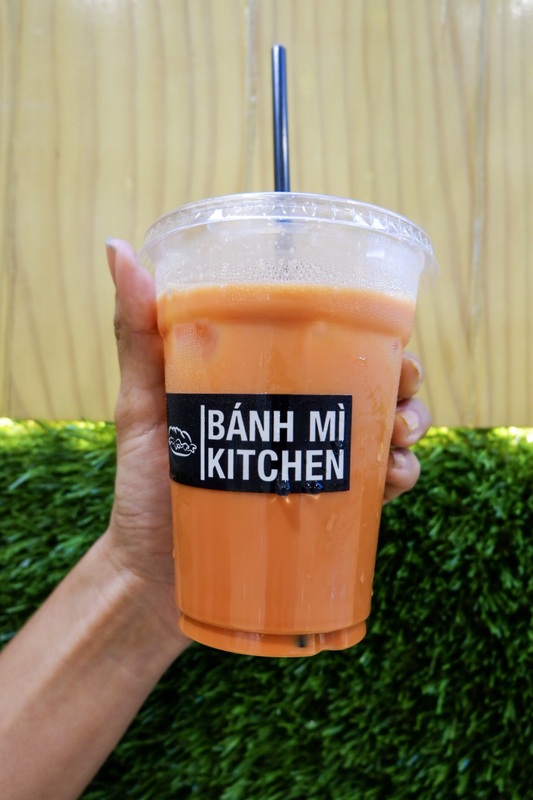 For those who are in need of a quick bite like those office and gym people, Banhh Mi Kitchen just serves you right. The staff can prepare whatever you ordered in just 10 minutes. What’s amazing about this is that they offer a lot for as low as 99 pesos. And they even keep the authenticity of a Vietnamese cuisine by wrapping these bread meals with a newspaper sheet. Their pioneering sandwich is known as “The Classic” costs around Php 99 for a half size.This crunchy baguette is loaded with a sliced Vietnamese ham, roasted pork, pate, and mixed with veggies like cucumber, pickled radish and carrots and finally filled with a mayonnaise and hoisin sauce. Another one in the menu that would surely be a gustatory delight to your stomach is the Lemongrass Pork. It is made with BBQ pork, pate and identical veggies and sauce. Besides, the Lemongrass Pork’s price is similar to The Classic. 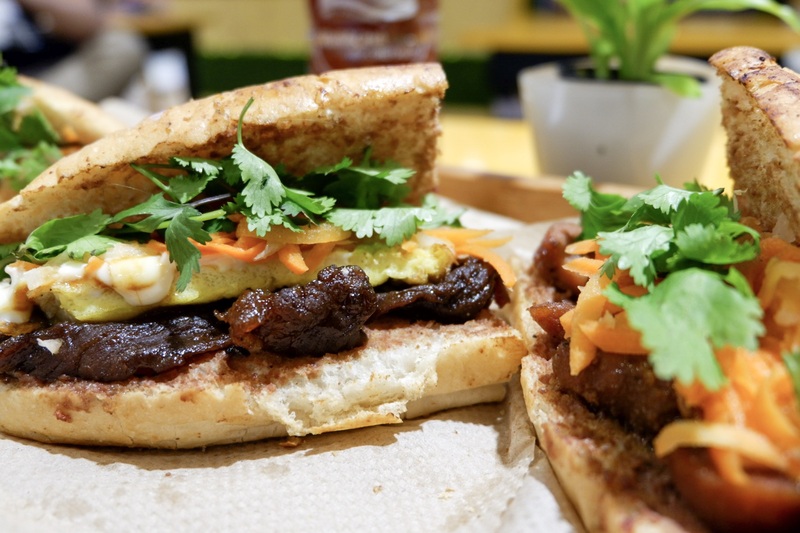 The Wagyu Tapa is another juicy and crunchy Banh Mi that costs Php 129. From the name itself, this sandwich’s constituents are wagyu tapa, omelet, pate, cucumber, carrot and pickled radish. The tenderness of the tapa made this really the crunchiest but still, such a delectable one. Among the rest, subjectively, the Kani Bonito is the one that would make you fall in love with Vietnamese food. It highlights Japanese flavors and it is made with kani, seaweed, japanese mayo, pate, cucumber, carrot and pickled radish. For only Php 129, you will surely not regret the ecstatic feeling once you chew and digest this sandwich. It is scrumptious and totally refreshing. A perfect blend of everything. 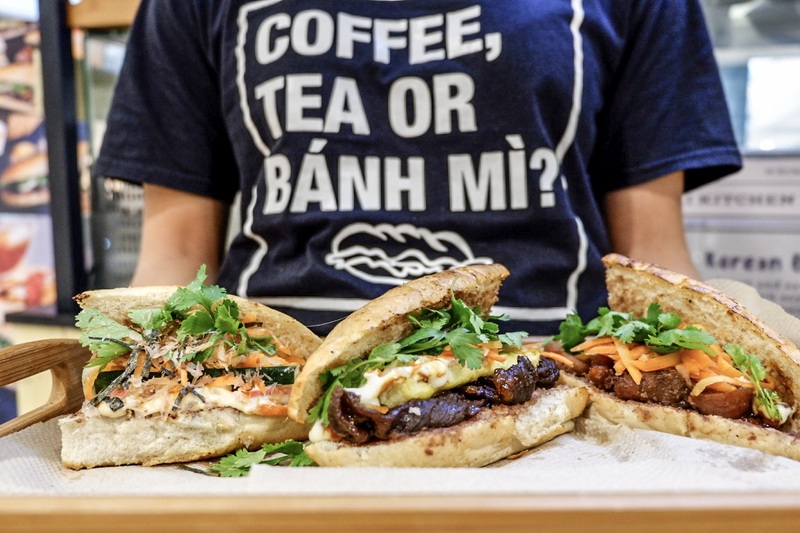 These are just some of what the Banh Mi Kitchen offers to those who are in a hurry or people who are interested to try a new flavor. And if you consider yourself as a gourmand, this would surely gratify you in all senses. 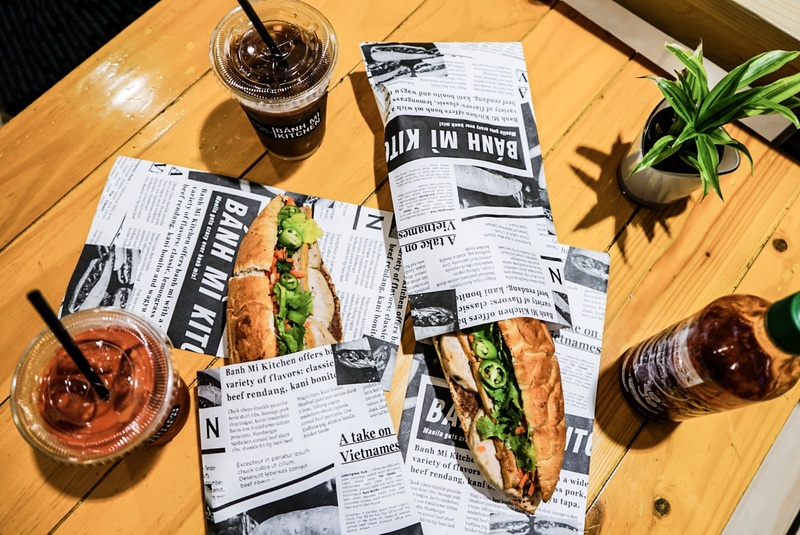 One more thing, if you want to dulcify your food experience with Banh Mi, you can opt for a BMKN Viet iced coffee or BMNK Viet iced tea for only Php 60. 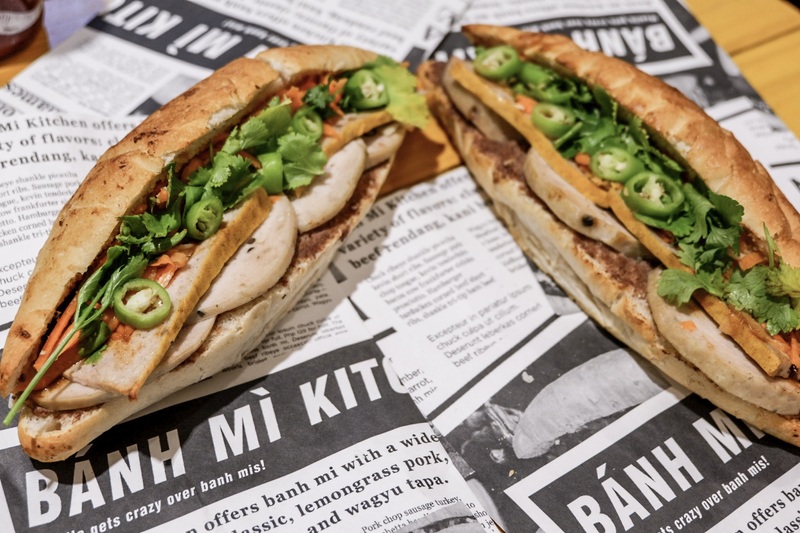 Every now and then, Banh Mi Kitchen brings in a new flavor. They never ran out of amazing ideas for our craving tummies. In February 2017, They will be bringing back a crowd favorite, Beef Rendang.